In the first quarter of 2019, King exported a total number of 2,915 units buses and coaches, up by 64.1% year on year. Its export volume ranked first in China with a total export revenue of 64.72 million USD, up by 17% year on year. In Egypt, King Long has been the No.1 bus brand for many years. In the first three months this year, it exported 704 units minvans. In Bolivia, King long solidified its leading position by exporting 1,331 units minvans in the first quarter this year. With Sino-Philippines growing diplomatic ties, King Long sold 121 units large- and medium-sized buses & coaches to some major customers in Philippines. 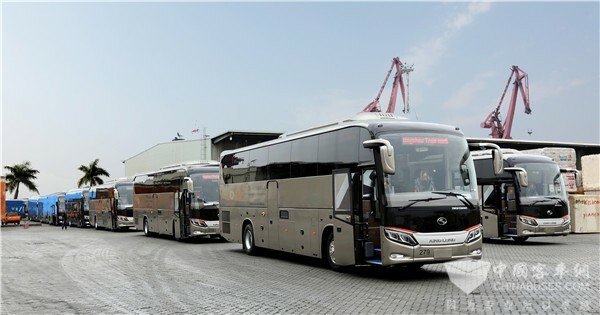 In the first quarter this year, King Long exported 202 units buses to Saudi Arabia and 77 units buses to UAE. As one of the pioneers in exploring the overseas market, King Long successfully entered Samoa, Mexico and Vanuatu for the first time, further expanding its presence in the global market. Also in the first quarter this year, King Long delivered 22 travel coach chassis and city bus CKD spare parts to customers in Taiwan. 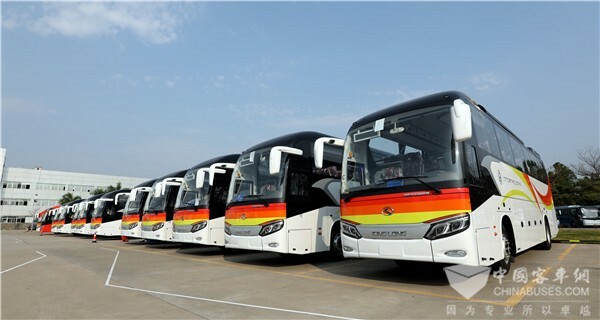 Currently, King Long coaches, fossil-fuel powered city buses and electric city buses have become an indispensable part of people’s daily lives in China. In addition, it has already established two KD factories on the island. 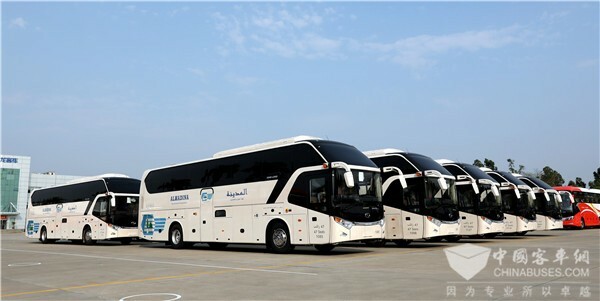 With people’s growing concerns over the deteriorating environment, King Long new energy buses and coaches have been gaining fast rising popularity in the global market. In the first quarter this year, it exported new energy buses and coaches to Hong Kong, Argentina, Chile, etc.